According to the Vedas, the Sun is the provider of life. The Sun is a revolutionary kind of force as in astrology, whichever house, the Sun is placed, it will make you realistic. You may not be supposed to have a superficial kind of approach in those matters. The Sun is the king of astrology and all the planets revolve around it. So, the Sun is the main planet and it indicates soul, ego, father, self-esteem, authority, health, vitality, courage and confidence. The Sun is exalted in Aries and debilitated in Libra. This exaltation and debilitation is a very controversial phenomenon. Both the placements have positive and negative indications. In a natural zodiac wheel, Aries is the 1st sign and Libra is the 7th. Libra lies on the lower side of the zodiac wheel. The Sun being a king enjoys the attention he gets in the 1st sign, but it doesn’t like to be in the sign where it has to remain in the background. It doesn’t like to be in this sign despite the house because this house deals with day to day relationships. Being the King, the Sun likes to be in the throne, but when he sends out to deal with all the complexities in the relationships, then a person with Sun in debilitation can have issues with so many people. Primarily with father, this person can have issues. 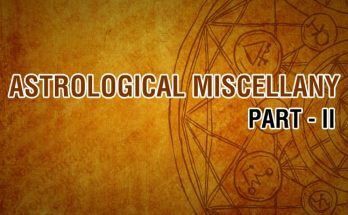 The Sun indicates father in astrology and a Sun in Libra person will have to go an extra mile in being happy with their father. The father-child relationship will advance amidst a lot of struggles. They may have to go an extra mile in controlling their ego and this ego can bring issues in all the relationships. Power struggles will be another feature. When the Sun is in Libra or when it is in the 7th house that can also make your Sun weak. The Sun doesn’t share a good relationship with Saturn, and Venus. So, when placed in the sign owned by these 2 planets, then the Sun can be weak or inefficient. 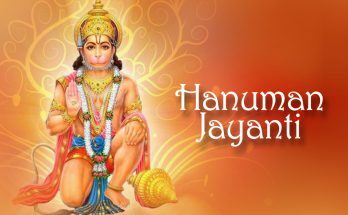 The Sun is a powerful planet, so even if it is in a good mode, it may make you power hungry in the matters of the house which it is placed, despite exalted or debilitated. 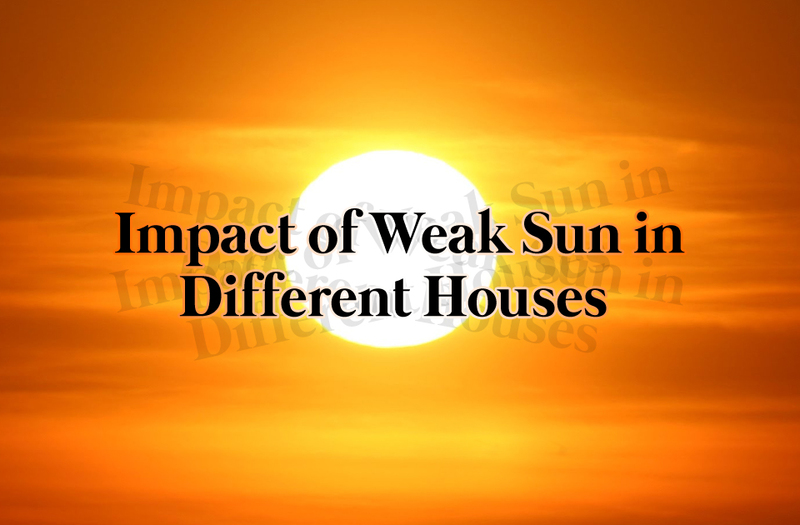 If this debilitated or weak Sun is in the 1st house, then it indicates a recurrent focus on health. In the 2nd house ongoing power struggle in the family. In the 3rd house, then the power struggles can be with siblings. The 4th house is showing the stress with family. When Sun is placed in the 5th, then the power struggles can be with children or partner in romance. In the 6th house, it makes you power hungry over your colleagues. The 7th house Sun is, of course, showing the hiccups in the marital life. In the 8th house, it can be with your partners. Then, the 9th house sun shows the friction with gurus, mentors or father. 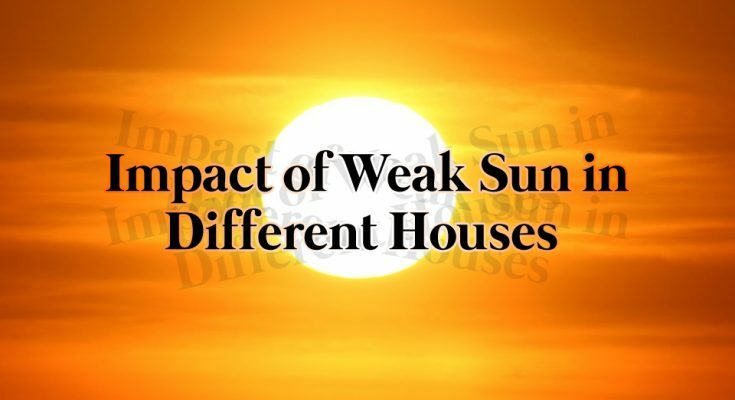 The 10th house sun shows issues with administration. The 11th house Sun shows frictions in your group settings. The 12th house Sun reflects issues in emotional stability.